Cittadellarte's aim is to inspire and produce a responsible change in society through ideas and creative projects. Cittadellarte-Fondazione Pistoletto was instituted in 1998 as a concrete action of the Progetto Arte Manifesto where the artist Michelangelo Pistoletto proposed a new role for the artist: that of placing art in direct interaction with all the areas of human activity which form society. The name Cittadellarte incorporates two meanings: that of the citadel or rather an area where art is protected and well defended, and that of the city, which corresponds to the idea of openness and interrelational complexities with the world. Cittadellarte is a great laboratory, a generator of creative energy that generates unedited processes of development in diverse fields of culture, production, economics and politics. The activities of Cittadellarte pursue a basic objective: to operationally take artistic interventions into every sector of civil society to contribute responsibly and profitably to address the profound changes of our age. Cittadellarte is structured organically according to a cellular system that configures itself in a main nucleus that subdivides into different nuclei. These take the name of Uffizi. Each office carries out its own activity addressing specific areas of the social system. The goals of the Uffizi are: to produce a responsible transformation of global society, starting from their smaller local dimensions. The Uffizi are divided into the following categories Art, Education, Ecology, Economy, Politics, Spirituality, Production, Work, Communication, Architecture, Fashion and Nourishment. The logo clearly represents the cellular structure of Cittadellarte and reflects this in the way it organically functions. 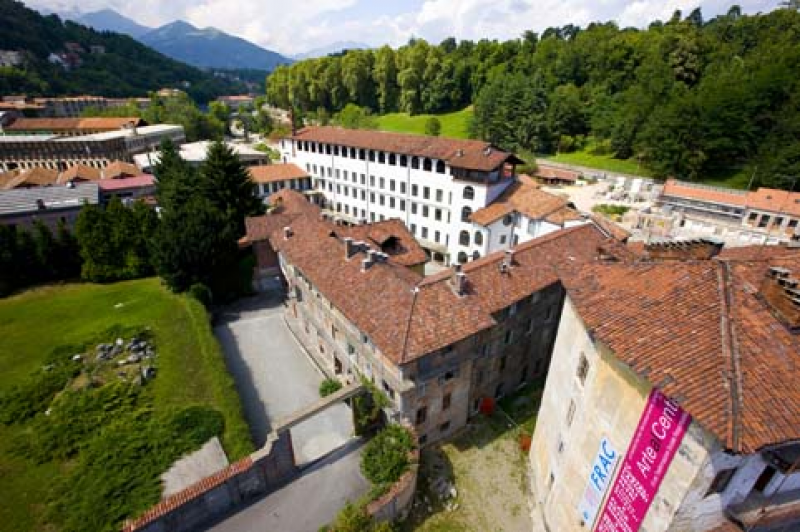 Cittadellarte is situated in Biella along the banks of the Cervo River in the restored premises of industrial archaeology. The symbolic denomination Cittadellarte is united with the legal name Fondazione Pistoletto ONLUS that has an agreement with the Piedmont Region and the Municipality of Biella. Cittadellarte is a non-profit organization of social utility, recognized by and under the patronage of the Region of Piedmont in 1998. Its headquarters are in Biella, in a 19th Century former wool mill, itself a piece of industrial archeology and protected by the Ministry of Cultural Assets. Cittadellarte is supported by CRT Foundation and Compagnia di San Paolo.